A Haredi (ultra-Orthodox) rabbi joined forces with a right-wing party in order to advance his pre-Messiah mission of returning the lost remnants of Israel, in a seemingly unlikely political alliance. 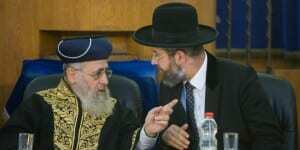 Rabbi Chaim Amsalem is running for the Knesset in the April elections as part of the Zehut party. He is no stranger to Israeli politics but his past makes his decision all the more surprising since Rabbi Amsalem was one of the founders of Shas, the Sephardi-Haredi (ultra-Orthodox) party. Zehut is not Haredi but is closer to his current project. Rabbi Amsalem left the party due to an ideological belief that has become his life’s work. A recognized Torah scholar, he wrote Zera Yisrael (The Seed of Israel) in which he advocated a different approach to dealing with the huge phenomenon of people with Jewish ancestry. 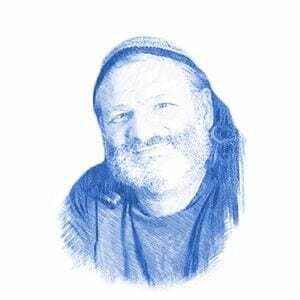 To further this, Rabbi Amsalem helped establish the organization Zera Israel with the stated goal of “reaching out to the millions of ‘People from the Seed of Israel’ around the world, bring them closer to Judaism and the State of Israel, in a welcoming and approachable manner, while preserving the Halachic (Torah law) rules.” Zera Israel supports and invests in Jewish communities across the globe while focusing on tightening their bond with the Land of Israel. In cases of conversion, he advocates for taking a significantly lenient position when a person is descended from Jews. In the case of one IDF soldier, Rabbi Amsalem considered the army service itself to be the ‘acceptance of the mitzvot,’ a key component in the conversion process. He has been widely criticized in the ultra-Orthodox press for this decision. Last week, Rabbi Amsalem announced that he was joining Zehut, a right-wing political party that is often described as the Israeli version of the Libertarians. Zehut’s platform calls to abolish the Chief Rabbinate’s monopoly over religious services in Israel and allow people to choose who would provide those services. Rabbi Amsalem maintained that his desire to reunite those of Jewish ancestry with Israel has enormous political ramifications that could benefit Israel in its conflict with the Palestinians. He explained that the left-wing has advocated a two-state solution. The rabbi noted that this already happened with the aliyah from the former Soviet Union. In the 1990s more than 1.6 million Jews made aliyah, drastically changing the demographics of Israel. 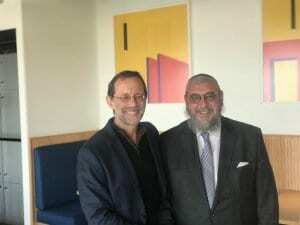 If Amsalem is a religious and political enigma, he has clearly found a partner in Moshe Feiglin. Feiglin was raised in a religious Zionist environment, serving as an officer in the IDF. He was fo, a long time, part of the Likud Party. But he does not use those terms, religious or political, to self-identify. Feiglin emphasized that this was not a universalist feel-good philosophy but was instead a true reflection of what is taking place in Israel today. “This consciousness that includes all aspects of the population is our message and it is now the majority of the Israeli society,” Feiglin said. When asked how being religious affected his politics, Feiglin gave a doubly enigmatic response. Though generally known to be an ideologue, a philosopher-politician, Feiglin sees his role in politics as pragmatic.